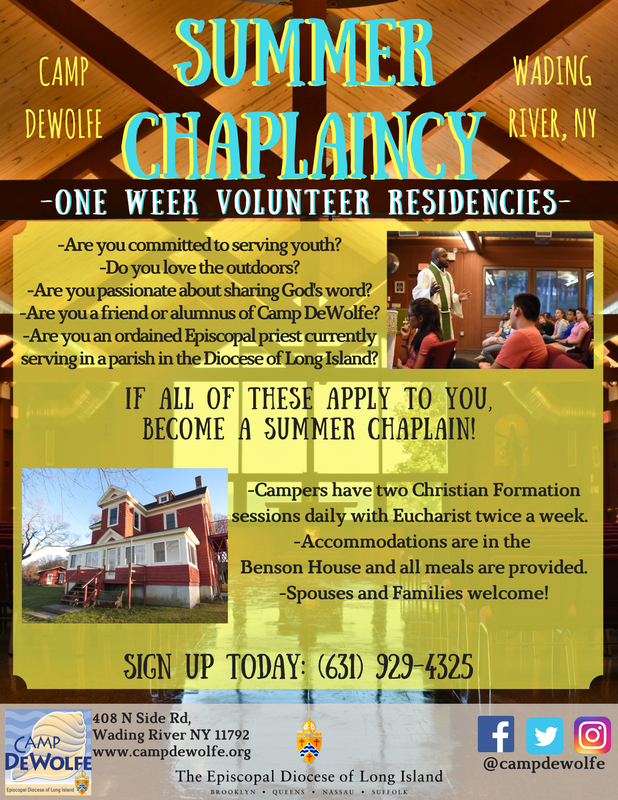 Clergy and church leaders from any denomination are invited to Camp DeWolfe for a 24-hour personal overnight mid-week retreat for free. Clergy are welcome by themselves or with a spouse or family. The Clergy Day Away dates and facilities are contingent upon availability and usage during the school year/retreat season. Contact us to register your day away. Episcopal Clergy are invited to volunteer for a week of our summer program to lead the Eucharist, participate in Christian Formation, be a pastoral presence, and otherwise serve as Chaplain to our campers and staff. There is also ample opportunity for personal reflection and relaxation as you enjoy a week at beautiful Camp DeWolfe.